The total admission price of the Technik Museum Sinsheim includes a visit to the two fully accessible supersonic jets Concorde and Tupolev TU-144 which have been placed on the museum roof. In the exhibition halls, there is something for everyone to be discovered: antique cars and motorcycles of all eras, huge steam locomotives, Formula-1 legends, racy sports cars, record vehicles like the Blue Flame or Brutus, agricultural machinery, gigantic engines, a military history exhibition and much more. The prices for travel groups, clubs, vintage car clubs and school classes (15 people or more) can be found > here. Please note: Due to the strong audiovisual impressions we recommend a visit to the IMAX 3D Laser 4k Theater only for children over 4 years. Due to the strong audiovisual impressions we recommend a visit to the IMAX 3D Laser 4k Theater only for children over 4 years. Comfortable accommodation can be found in the Hotel Sinsheim directly next to the museum. Our Hotel Sinsheim is in close proximity to the Technik Museum Sinsheim. 110 comfortably furnished, fully air-conditioned rooms with showers, offer you the highest sleeping comfort. For you, we offer inexpensive holiday packages with accommodation, which alternately contain either a museum visit or a trip to the Thermen & Badewelt Sinsheim (spa), or to the Tripsdrill amusement park. You can book the following offers directly through the Hotel Sinsheim. The Technik Museum Speyer is located only 40 km from the Technik Museum Sinsheim, and is also worth a trip. 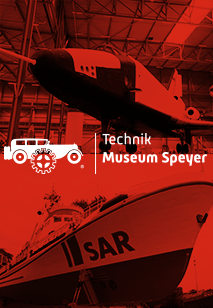 Combine a visit to both museums with accommodations at the Hotel Speyer am Technik Museum, or in the Hotel Sinsheim. A show at the IMAX 3D movie theatre Sinsheim and IMAX DOME movie theatre Speyer is also included in the price! 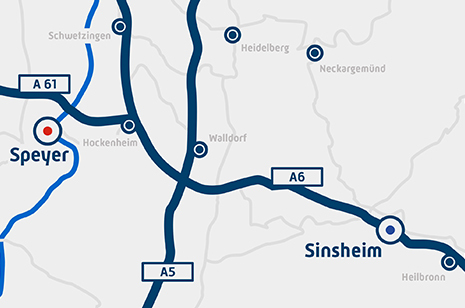 Combine your eventful visit at the Technik Museum Sinsheim and its accessible Concorde, with a "short holiday under the palm trees" in the Sauna and Wellness Thermen & Badewelt Sinsheim, and accommodations at the Hotel Sinsheim. Relaxation at the Thermen & Badewelt Sinsheim awaits you only a few minutes’ walk from the entrance of the museum: discover your perfect wellness spot in holiday paradise. Turquoise water, pleasant temperatures, and more than 400 real south sea palm trees will allow you to truly relax in palm tree paradise. Apart from accommodations in the Hotel Sinsheim and museum entrance, this package includes an entertaining day at the Tripsdrill amusement park, which is only a few kilometres from Sinsheim. Over 100 original attractions, including the Tripsdrill wild paradise, await you near a historic landmark, the Altweibermühle (old women’s mill). Highlights include the MAMMUT (mammoth) wooden roller coaster and the Karacho (high speed) catapult roller coaster.